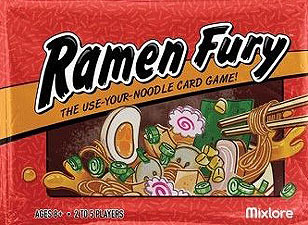 Rush to prepare and slurp up delicious bowls of ramen filled with tasty ingredients. Collect combos of cards to score for different recipes while adding garnishes to boost your points. At the same time, watch out as other players throw spicy chilli peppers your way or swipe foods right from your bowls! It's lively "take-that" fun that will have you calling for takeout!